Reed-Solomon codes are used to perform Forward Error Correction. FEC encoders introduce redundancy in data before it is transmitted. The redundant data (check symbols) are transmitted along with the original data through the channel. A Reed-Solomon decoder at the receiver is used to recover any corrupted data. 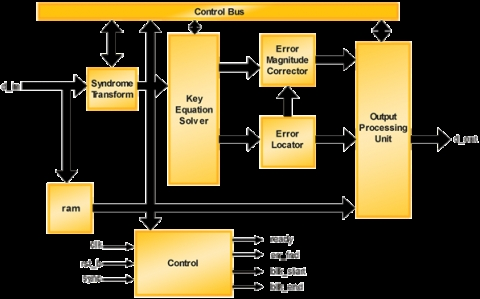 This type of error correction is widely used in data communications applications such as hard disk and media storage (CD) systems, Digital Video Broadcast (DVB) and Optical Carriers (e.g. OC-192).